SpeedSport, based at the Silverstone Circuit, have been trading since 1978 and remains a thriving business to the current day with its mix of commercial activities. SpeedSport boss Mike O’Brien has thirty years experience of the motor racing industry as both a championship winning driver, championship winning team owner, and a successful businessman. 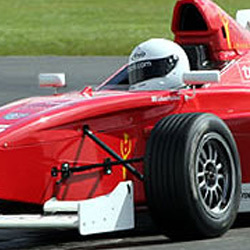 We can also help with licences, accommodation and obtaining work within the motor racing industry. Our experience in shaping the careers of top young drivers such as Darren Manning and Andy Priaulx has resulted in an unrivalled network of contacts in the UK, Europe, the USA and Japan. We have long established links with many top racing teams, manufacturers and key personnel throughout the racing world.